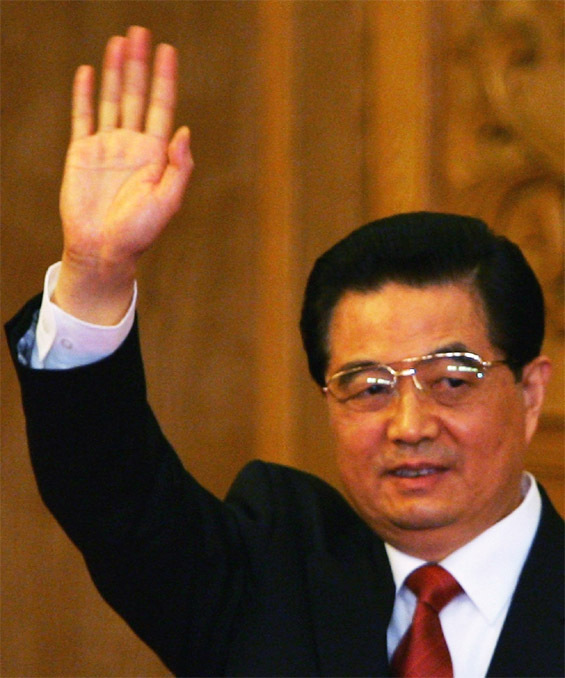 HU JINTAO - The right hand of the political leader of China? 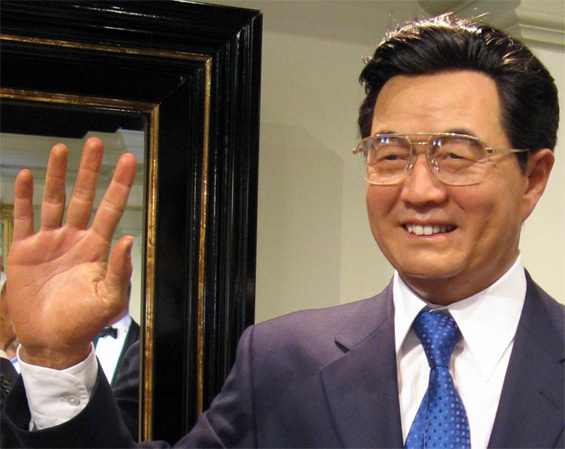 The Chinese can 'copy' almost everything - including their political leader Ju Hintao, who is exhibited at Madame Tussauds in Hong-Kong (see the picture above). Not bad... untill we take a look at his real hand! 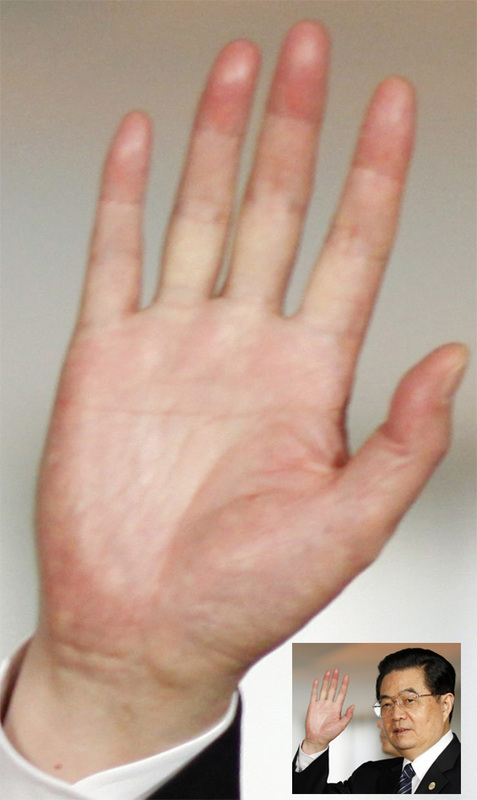 In the photo below you can see an impression from the real Hu Jintao's right hand, and obviously: the hand at Madame Tussauds in Hong-Kong doesn't look at all like the real hand! Or... is somehow a 'body stand-in' involved??? - and his beautiful, slender (pointed?) fingers. Since Hu became president in 2003, he has started a series of reforms, hoping to bring the country's 1.2 billion populations a better tomorrow. Re: HU JINTAO - The right hand of the political leader of China? PS. I would like to thank Manfred for bringing up this topic - after Hu Jintao had been chosen last week by Forbes as the 'most powerful man in the world' (Barack Obama was voted as no.2 - after he was the no.1 in 2009). 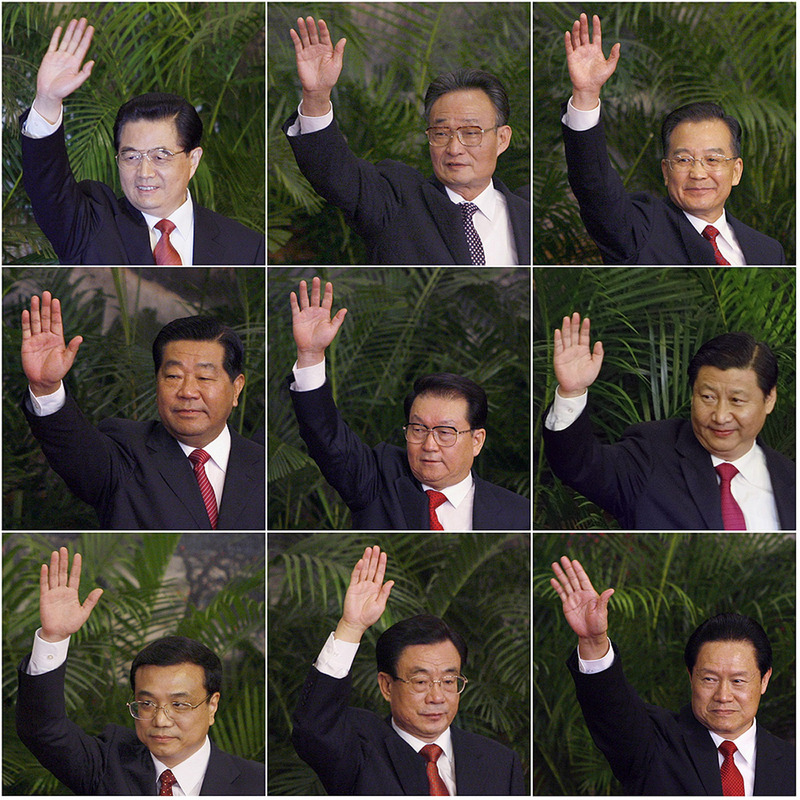 • The right hands of the 9 leaders of the Communist Party of China! nice pictures! I've also found and sorted out some faces while my internet tour for Hu last week. - Remarcable the Simian line that looks a little bit like an u, open to what comes (money) from above. A line that turns upt in direction to the Mercury. A sign of taking care and counting on what everything brings. Nice to hear that you like the result of your initiative!! Most of them seem to have very narrow quadrangles (space between mental and emotion lines).